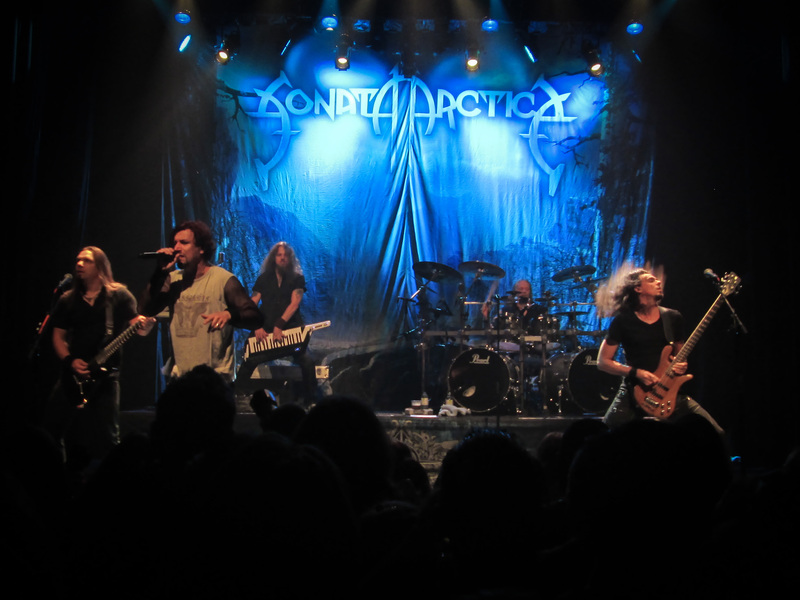 Finnish power metallers Sonata Arctica played in Montreal last night at Club Soda as part of their Pariah’s Child tour that also happens to celebrate the band’s 15th anniversary. Offering a career spanning setlist, the band’s melodic metal delighted their fans who banged their heads, pumped their fists and sang along to all their favourites. Sonata Arctica. Photo Jean-Frederic Vachon. The new material took up almost a third of the setlist, but it never felt out of steps with the older songs. Their fans obviously dig their newest album, Pariah’s Child, which despite being announced as a return to their earlier sound, seems to be more a mature synthesis of their entire career. Solid performance by a veteran band. Opening the evening was Germany’s Xandria. Their symphonic metal sounded amazingly clear and precise, and judicious use of lighting made their set feel like much more than a short opening slot. This is their first tour with Dutch singer Dianne van Giersbergen (Ex-Libris) who at times looks like a Disney princess who ran away from boring Prince Charming and now fronts a metal band. But her operatic vocals were very impressive and the band was tight. Five songs was probably enough before it became a little redundant, but their set, as it was, was perfect. A great opener for the night. And I liked that they didn’t behave like openers. Too often the support bands act like they don’t belong there. These guys had no inhibition about being on that stage. Second opener was another female fronted symphonic metal band, Delain from the Netherlands (you know summer’s over when all the European bands, after doing the festival circuit, start coming to North America). Last year they delivered an impressive performance opening for Kamelot, and this year was no different. 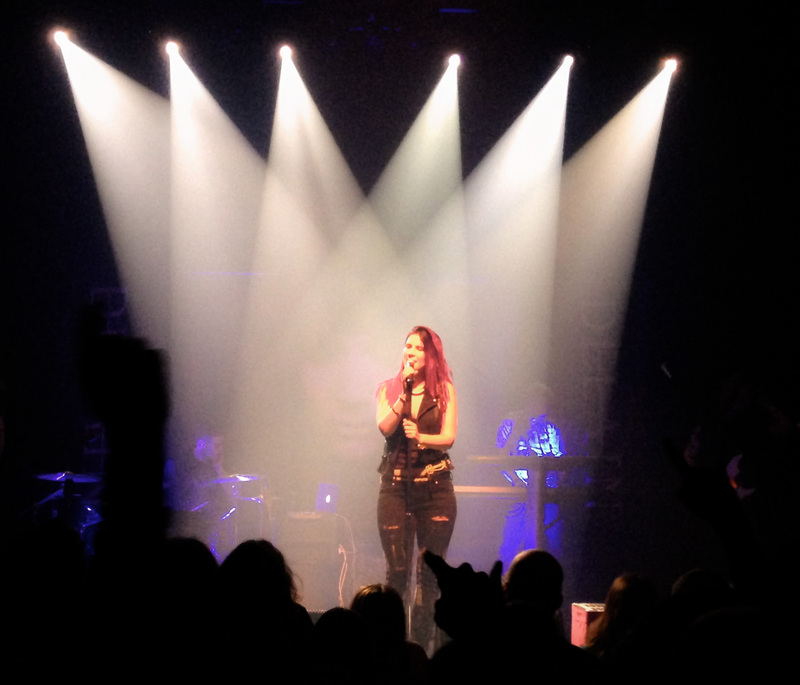 Fronted by the incredibly charismatic Charlotte Wessels (who’s fast becoming one of the best front person in metal), the band charged through a 45 minute set that once again felt too short (I said it last year, and I’ll say it again: it’s time for them to do a North American headlining tour). The band was once again treated like headliners by the Montreal crowd, and they recalled how awesome the reaction had been last year. 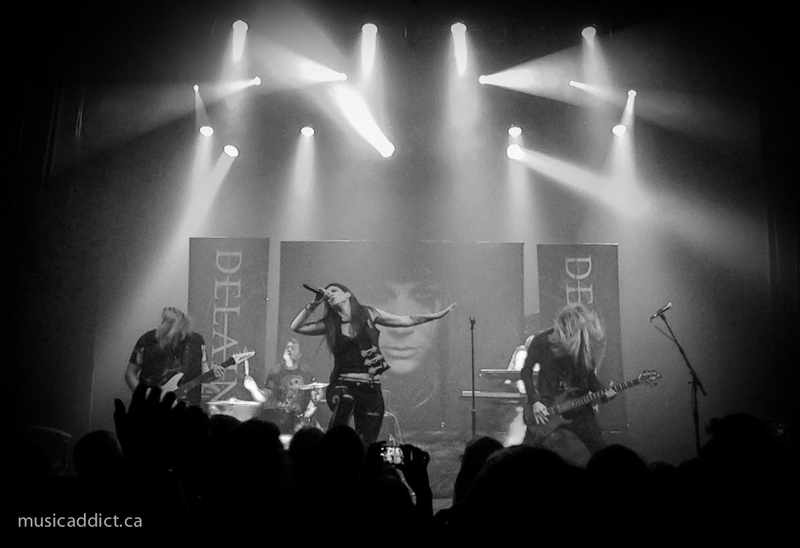 It’s clear that Montreal loves Delain. Only two songs from their latest album were played (Army of Dolls and Stardust), and, among the older material, The Gathering and We Are the Others drew the largest cheers. These guys are great musicians, and their flawless performance was for me the highpoint of the show. My only minor quibble is that the band, probably in a cost cutting effort to allow for overseas touring, acted as their own roadies. Nothing wrong there, but they should have drawn the stage curtains to preserve some of the mystery. It seems to me like that would have made a great impact. Overall it was a great night for melodic metal with three excellent bands. 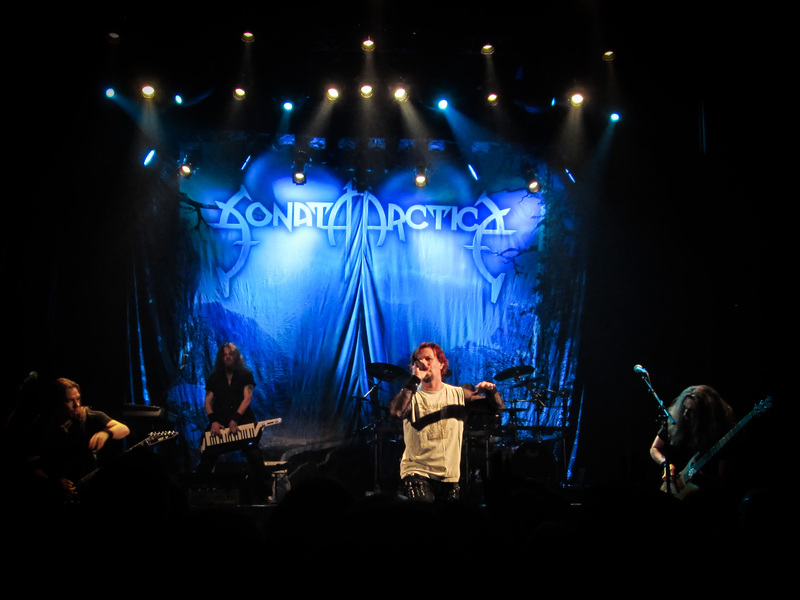 Sonata Arctica performed with Delain and Xandria at Club Soda on September 8 2014. For more of Jean-Frederic’s music writing, check out his blog, Diary of a Music Addict.